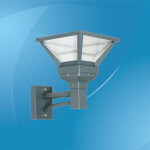 Landscape lights are used to provide illumination to outdoor areas for either aesthetic, functional or security reasons. 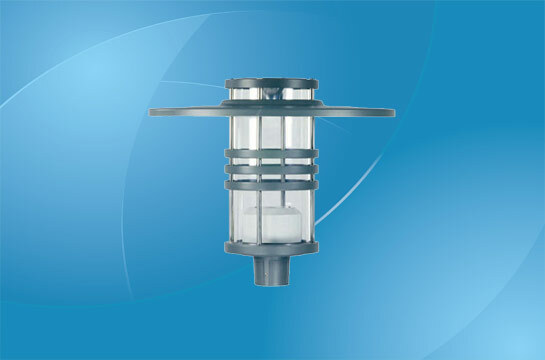 Typically, landscape lights are used in public parks, commercial lots, residential units with large compounds, and during outdoor social events. Before the arrival of LED landscape lights, the niche was dominated by halogen, incandescent and compact fluorescent lights. However, the continuous improvements in LED landscape lights efficacy and long-term cost savings has radically transformed the face of the industry. Today, commercial and end buyers will invariably gravitate towards LED-based solutions for their landscape lighting needs. 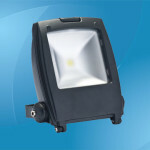 Probably the most compelling attraction of the LED landscape lights lie with the two-fold cost savings. The first comes from lower energy expenditure, as LEDs have tremendously low power requirements and are capable of operating optimally at only between one and three quarters the wattage required by equivalent incandescent, fluorescent or halogen lights. The second savings is derived from the significantly longer lifespan of LED lights. Studies have suggested that LEDs can last up to 100 times as long as standard bulbs, making them valuable long term investments! So much so, even major home furnishing retailer IKEA are planning on going all-LED by 2016! 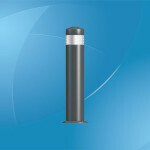 The compact and flexible design of LEDs encourages similarly small and adaptable LED landscape light designs that can be fitted into various locations for a variety of purposes. It is perfect for small sporting venues such as lawn bowl pitches, tennis courts, mini-golf courses and swimming pools, complementing installations at high pedestrian traffic zones like bus stops, walkways and neighborhood centers. For public parks, squares and car parks, high elevation mountings offer great illumination, along with ground installations in landscaped yards, blind corners or to highlight display advertisements. Its adaptability is further illustrated by wall mountings near building entrances and exits, around house compounds and property perimeters. At home or at the clubhouse, ceiling mountings provide a great solution for lighting up staircases, steps, patios and verandahs. 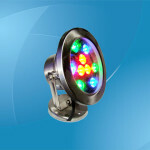 It can also deliver visual enhancements for gardens, ponds and fountains. Last but not least, LED landscape lights immediately elevate security in poorly lit areas, gates, garages and darkened alleys. 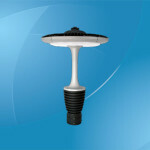 LED landscape lights are usually fastened using supplied mountings and screws. While it is always advisable to hire a contractor for installations in elevated or high risk location, self-installations can be comfortably performed in easier to reach spots using just power drills. However, for installations that are far from power sockets, contractors are highly recommended as the wires must be laid either underground and behind walls. Occasionally, wires may also need to be threaded across roofs and cramped locations. LED landscape lights are powered using either AC power drawn directly from 120-240V mains or solar energy through equipped photocells and inbuilt rechargeable batteries. For the former, adapters/transformers are also usually equipped to regulate electricity supply. Furthermore, there are also dual-powered models available for the more cautious and energy conscious users. 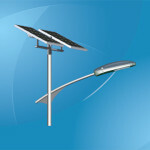 There are also dual-powered models available for the more cautious and energy conscious users. 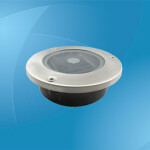 Motion sensors – The LEDs are instantly activated upon motion detection within the sensor’s range. Remote operation – Using supplied remote controls, users can navigate the direction of the landscape spotlight by as much as 180 degrees, both horizontally and vertically, from inside their homes or offices. Built in timers – The timers enable automatic start and shut-off of spotlights at dusk and dawn. 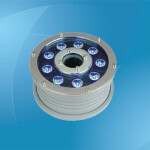 Reduction in glare and balanced illumination – The multiple embedded LED array can be manually configured to obtain the most optimal focus and light emission. High quality lumen output and light color renderings – The chromaticity, light and color temperature of LED landscape spotlights have been proven to be more conducive for human sight. Weatherproof installation – Units are built to withstand the regular confrontation with the elements, and prevent leakage of water from the rain. They also come preinstalled with airtight and toughened acrylic/glass lenses. LED landscape lights are able to heighten the aesthetic appeal of existing landscape designs, buildings or architectural structures of any given locations. It can also improve the mood and atmosphere of social activities or gatherings. As alluded to earlier, the presence of these landscape lights will instantly increase security by lighting dark or poorly lit locations, roads or entrances. Peace of mind has never come so easy! In addition, direct users will appreciate the improved safety of the lights contain no mercury, and have no documented history of exploding at the end of their lifecycle.